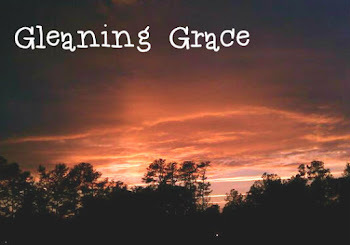 Gleaning Grace: Follow me by email and on Facebook! I am so excited that now you can follow gleaning grace on Facebook and receive my posts through email. Just look over there on the right and choose one or both to suit you best! I welcome your feedback and help with my gleanings. Please share your comments, findings, feedback, graceful or grace-less experiences! Thanks for stopping by and come back again!